In government sanctioned propaganda, the people of North Korea appear happy, smiling and well fed. The people are often shown in spotless factories and laboratories, patriotic and fulfilled, but the following pictures will give you a glimpse of what their life is really like and it is nothing like what we are led to believe. A photographer used a hidden camera to shoot random people on their way to work. These people are not only unsmiling but seem bitter and angry about their lives and place in the world. 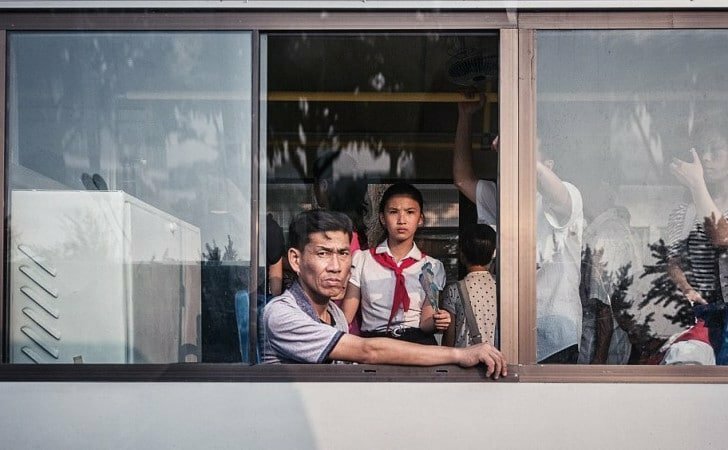 These candid shots deliver a truth that is quite different than claims made by the North Korean regime. 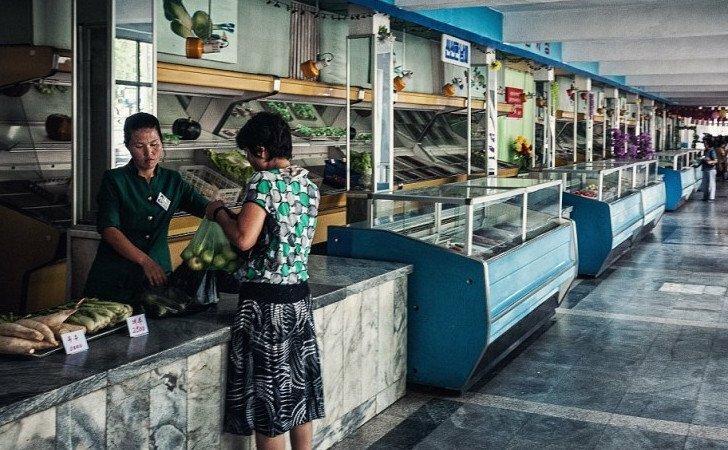 Due to international trade sanctions, draught and corruption, North Korea is suffering from famine and the people are forced to live off food rations from the government. The government projects an image of providing their citizens with all that they need, but as this photo, which was secretly taken in a grocery store shows, that is not always the case.